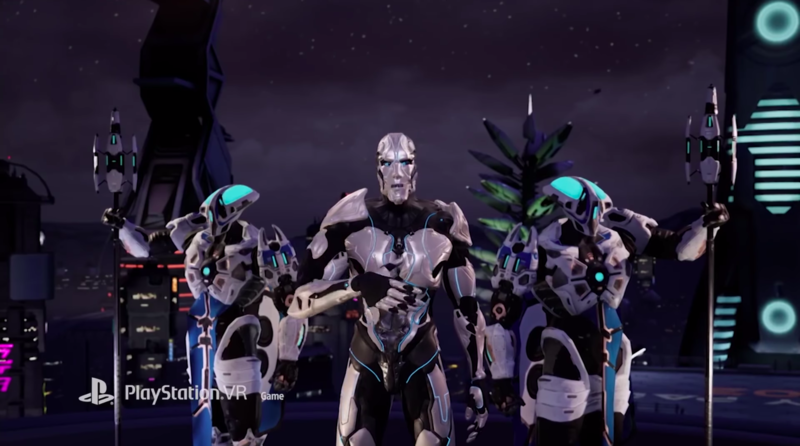 Recently announced by Labrodex Studios, Scraper: First Strike will bring the first of its five episodes onto the PlayStation VR on December 18, 2018. As a thank you to the online community, Labrodex Studios took to Reddit to announce that the special launch pack for those who preregistered for the game will now be available to anyone who buys it before December 31, 2018. This special pack would normally cost about $7.99. When people get it, they get the Winifred Phillips soundtrack and a virtual novel to enjoy outside of the game. It also gets you a Debilitator Railgun to use in the game. Scraper: First Strike is a sci-fi shooter with RPG elements that is rather ambitious when it comes to world building. The game takes place in New Austin, 2076. You’ll play as Casey Maxwell, a Modified Hover Pod pilot and member of the Human Resistance Force (HRF). This story-heavy game has received its own novel, called Scraper: The Rise of Cifer. It is a recently released prequel. Episodic games are often reserved for adventures games and visual novels. But as a RPG, Labrodex Studios plans to use the slow release rollout as a way to continuously build on the Scraper: First Strike‘s systems. All episodes will eventually be released as a full game sometime in 2020.